When a list of MI6's agents falls into the wrong hands James Bond (Daniel Craig) pursues the man who stole it. But during a tense standoff on a train, M (Judi Dench) makes the call for a shot to be taken. 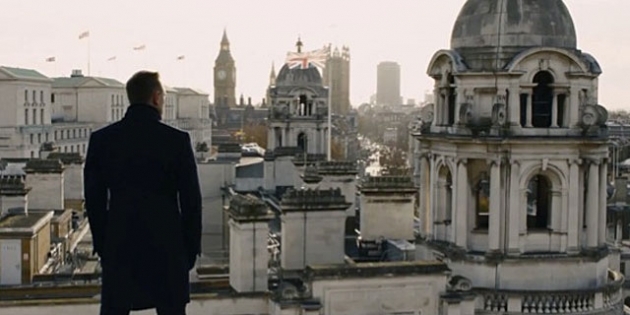 Bond is accidentally wounded by fellow agent Eve (Naomie Harris) and the list vanishes with the man. With Bond presumed dead, M takes the fall and is set to be replaced, with the relevancy of the 00 agents questioned by the Intelligence Chairman Gareth Mallory (Ralph Fiennes). Bond briefly takes to drinking until there is a terrorist bombing against MI6. Returning to Britain, Bond remerges, bitter at M, but determined to serve his country. Although weakened, Bond vows to get the list by travelling globally to places like Shanghai and is given some help by a younger agent codenamed 'Q' (Ben Whishaw) and the mysterious Severine (Berenice Marlohe). He eventually discovers that his nemesis is Silva (Javier Bardem), a criminal mind of the computer age, who has a personal vendetta against M herself. 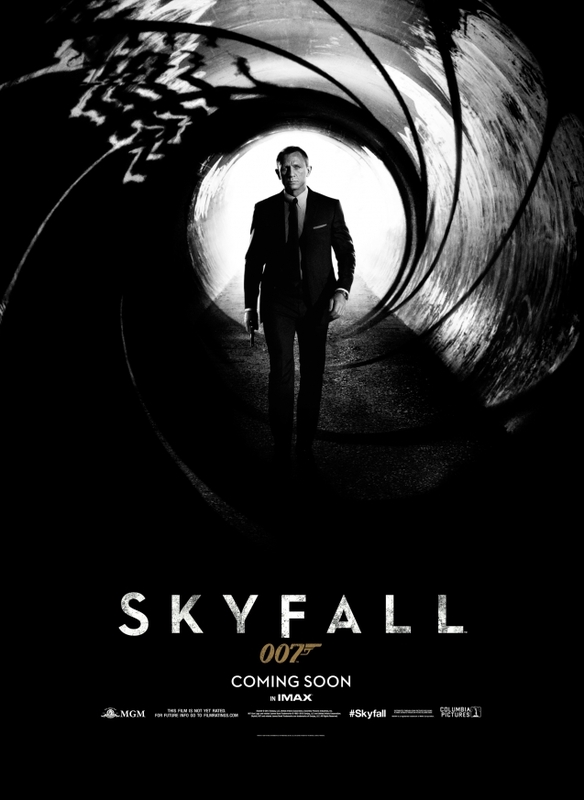 Some will argue that in the 50th year of the James Bond franchise Skyfall is the spy's pinnacle adventure, taking us into a new age of invisible terrorism, far beyond Ian Fleming's post-war espionage novels, while also reintroducing staple characters from the series and finally teasing at Bond's past. The film's craft alone, at the hands of British director Sam Mendes, rates as a series highpoint. However, true greatness still remains another entry away. This is the most overtly political and conservative Bond film to date, which is jarring for a franchise that defined the term "reboot" in mainstream cinema not long ago. This conservatism harps back to the Bond novels and their fear of the declining British Empire. Fleming was a journalist and a naval intelligence officer. He prepared intelligence units and modelled Bond on various agents and commandos he met. Fleming wrote at least a dozen Bond novels, some of which criticised for a lack of ethics, being "sado-masochistic" or adolescent. The film series rarely grew up either. It's been spoofed, imitated and even toyed with self-parody too. The stunts and gadgets grew silly and the puns were increasingly lame. What separated this once colourful franchise from production line blockbusters anymore? The Daniel Craig era looked to rectify this: a darker tone, less CGI and Bond projected as a human being. Skyfall shares this attitude, along with the same visceral nature and physicality as Casino Royale (2006). It's an exciting, often funny adventure, but even as it postures towards a changing era, it's still Bond. In this half-century of vodka martinis, little has changed, and here Skyfall doesn't follow-up on some enticing threads and possibilities, signposted in the first half. What can't be faulted however is the photography by Roger Deakins. He frames this movie beautifully, with more width than we've ever seen in a Bond film. It makes Bond resemble a smaller piece of a much greater spectrum of world terror. There are some gorgeous sequences in this film, my favourite being a martial arts battle fought in a glass building. The blows are photographed with dark shadows, like a silhouette, and the screen is shrouded by a blue filter lens. Action sequences like this, selective in a strong, leisurely first half, have more weight to them, fused with questions over Bonds fitness and the relevancy of M and the 00 agents - clever metaphors for the franchises own relevancy. Though the first half is witty and promising, with Dench and Craig's sparring sessions a delight, the second portion is bombastic, tense but unsatisfying. The cracks in the screenplay coincide with the introduction of Bardem's Silva, whom the film gambles heavily on. French actress Berenice Marlohe is thrown by the wayside; her character is a mere waypoint leading to Silva. As for Bardem, his villain in No Country for Old Men (2007) was a case of less is more. He's been cast to do the same, to be scary, but the character is underwritten. His acting style is broader and over the top to compensate and it's an unusual concoction of humour and weirdness. At most, his character provides an interesting suggestion about M's poor treatment of her agents. A great seed of conflict between Bond and M is planted by this, only to be diluted by a number of action set pieces, several of which owe too much to The Dark Knight (2008). Huge plot holes become startlingly visible too: If Silva is a wizard in electronic sabotage and can place bombs on MI6's doorstep, why does he personally go to such extraordinary lengths to attack M himself? If he specialises in cyberterrorism, and has a sophisticated background, why are his tactics in the final climax so lead-heavy? Bond wants to be a serious franchise, it wants to be Nolan's Batman, but we're expected to ignore the plot inconsistencies. 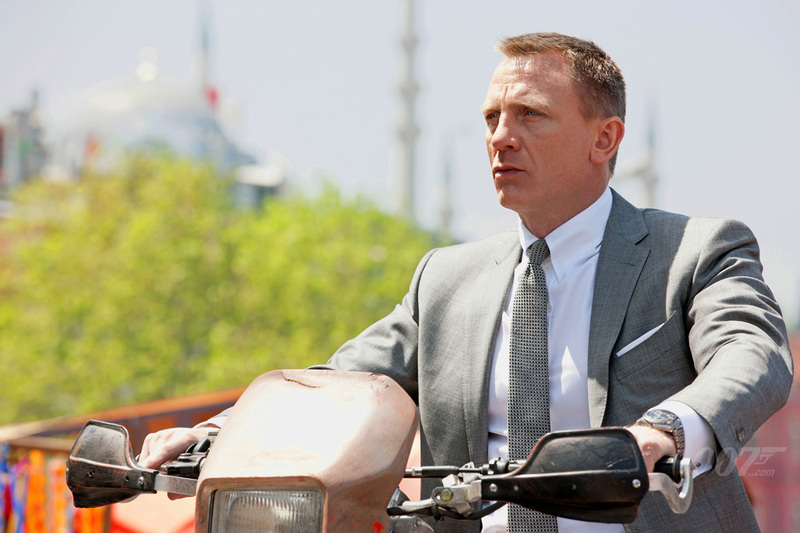 Bond still dazzles, but there's disunity around the direction and future of the series too. It's repackaged beautifully, but inside is a political tool, with references to the London bombing, shots of the British flag and a main character that is decidedly immobile, though not through circumstance. In Casino Royale, Bond returned to the circus out of personal tragedy and revenge. Now he's back only because Britain needs him. He's not ready yet to be called the spy who came in from the cold.